When Naftali Group first acquired the former Shepherd House at 277 West 10th Street in 2014, the historic warehouse was divided into 145 rental units. 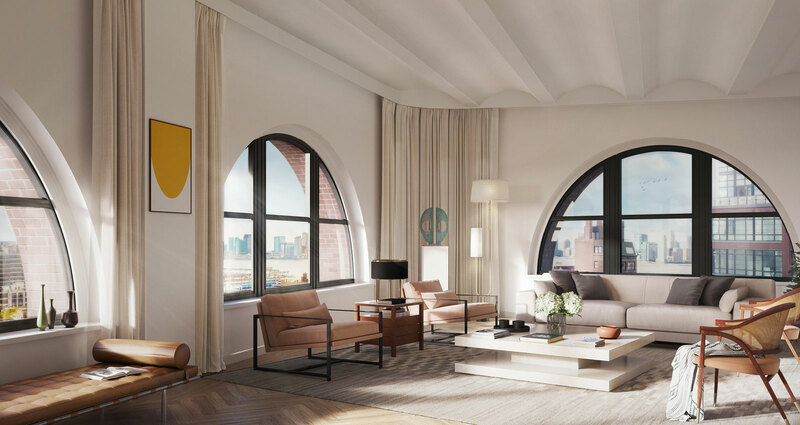 But plans change: The building, rechristened The Shephard, has been transformed into 42 luxury condos with a new address of 275 West 10th Street. The units are divided into two-, three-, and four-bedroom apartments (the smallest of which measures more than 1,000 square feet), each of which comes with mahogany cabinets, oak floors, Miele kitchen appliances, and big windows with Manhattan views. And there are a number of fancy-building amenities: a gym and spa, game room with a pool table and pinball machine, and a garden for residents. As for pricing: The smallest units start at $4.35 million.